Home / Healthy Eating / Healthy Food / What happens when you eat garlic on an empty stomach? Find out! 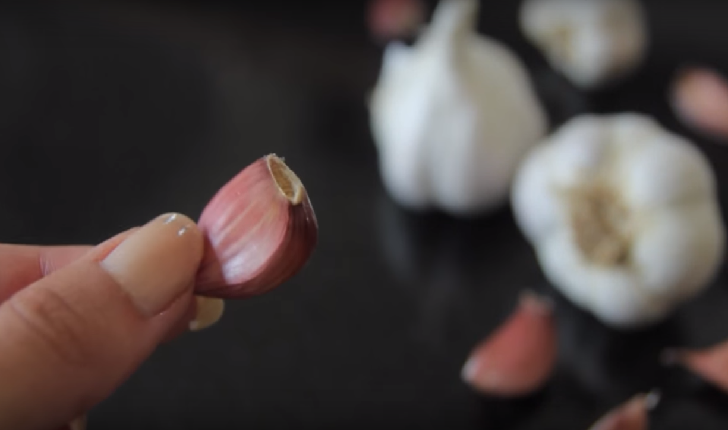 What happens when you eat garlic on an empty stomach? Find out! Garlic is always useful and often recommended by experts for booting the immunity and has numerous other health benefits. Garlic has a disinfectant, antibacterial and fungicidal properties that are comparable to the best antibiotics, but when you consume it on an empty stomach the effect is much stronger! But what happens when you eat garlic on an empty stomach? Scientists have discovered that consuming garlic on an empty stomach increases its effectiveness as a natural antibiotic. This happens because the bacteria are detected and can not defend against the “terrible garlic”. Garlic contains about 400 active ingredients and is rich in vitamins and minerals: adenosine, allicin, amino acids, dietary fiber, vegetable fats, vitamin A, vitamin B₁, and B₂, vitamin C, iron, enzymes, essential oils, iodine, potassium, calcium, selenium, sulfur, and phosphorus. Garlic has a disinfectant, antibacterial and fungicidal activity, comparable to the best antibiotic. The most essential ingredient of the garlic is allicin, which effect is better than the effect of aspirin. The regular consumption stimulates circulation and eases blood flow, lowers blood pressure and blood fat, heart disease. It is an excellent antioxidant and protects the body from the action of the free radicals.